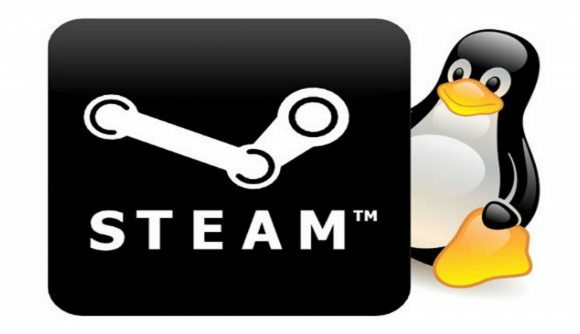 Valve has been busy updating Steam’s Linux client and if, as a gamer, the merest mention of ‘the other OS’ triggers your Ubuntu-based post traumatic stress disorder then it might have just created the cure to your terminal psychological woes. The built-in Windows compatibility layer, Proton, can now be used on any Windows game via Steam whether purchased through Valve’s all-pervasive digital platform or not. The latest beta client update allows any executable added to your Steam account, using the ‘add non-Steam game’ dialog, to be started using the Wine compatibility layer and run from within a Linux environment. If only Valve had done this when the Steam Machine was struggling to be ‘a thing’ it might have saved the whole doomed initiative from the scrapheap of history. Valve has also added the option for users to force the use of the Proton feature even on games that have native Linux versions. Why? Because if you’ve ever played a Linux port of a Windows-based game you’ll know that sometimes the developers make an absolute mess of it, and often drop support quicker than the crusty end of a poo-covered stick. With Proton enabled the Windows version has been shown to fare better than the native Linux client. Valve’s Proton feature is a simple tool that allows Linux users to have full access to Window-based games that don’t run natively under that set of operating systems. At Proton’s heart are a set of already available applications which do the same thing, but the one-stop Steam tool aggregates them all and means that the end-user doesn’t have to expend the time and considerable effort (everything in Linux takes considerable effort… come at me terminal-lovers) to install or maintain them. It’s super-easy to use and for the completely stable titles that Valve has already whitelisted it’s enabled automatically. For others which either have slight issues, or haven’t been fully tested, you can enable Proton yourself with a simple check box. And with the potential to add non-Steam games to the list of Linux-compatible titles the gaming world is getting stronger away from Windows. The Boiling Steam report talks about the GoG version of The Witcher 3 working almost perfectly through the Proton platform, though they are still experiencing some issues getting controllers to work through this method. But if you’re trying to play The Witcher 3 on a pad and still think you can call yourself a PC gamer we need to have a chat. One of the biggest barriers to both gaming on Linux and the rise of the Steam Machine was the fact that opening your Steam client outside of Windows meant that vast swathes of your gaming library was almost entirely inaccessible. Now the possibility of running your gaming rig completely outside of the Microsoft ecosystem (DirectX APIs notwithstanding) is tantalisingly close. Though, inevitably, there are still barriers to that. Not all games work flawlessly with the Proton layer, and outside of gaming there are still many foibles the Linux n00b will have to contend with just to get simple things working. Like graphics card drivers. Seriously, it can be a right pain in the pixel pipeline just getting your GPU to play nice sometimes. But there are some fantastic Linux distributions, and they’re all free, endlessly customisable, and when you’re typing strings of code into the terminal you really get to feel like a late ‘90s movie hacker.